A Learning Management System(LMS) is a necessary tool for today’s growing (and fully grown) businesses. Initially, when looking into an LMS for the first time, they can seem expensive, which leads some organizations to look for “free” alternatives. There is a variety of different open-source or “free” Learning Management Systems available today, with most being tailored for use in a school environment. These “free” systems often lead organizations to think an open source solution is a way to save money while gaining all the benefits offered by a proprietary LMS. While the idea of saving money with an open-source LMS is great in theory, in practice it falls short of expectations. Often these “free” LMS projects go unfinished or end up needing countless man hours to complete, maintain, support, and administrate. Implementing any new system, such as an LMS, is a lot like juggling, you have to constantly shift time and resources between your current job functions and the project at hand. Picture yourself juggling two tennis balls. One of these tennis balls represents your current job, the other will represent your new LMS initiative. I’m not saying Open-Source LMS providers are lying to you, their product is free – to download. But after that, everything it takes to get the system up and running costs you either time or money, and sometimes both! While your LMS may be “ready to go” after downloading, it won’t be the perfect fit for your business. To develop the perfect LMS, there will need to be some fine (and not so fine) tuning. This tuning will be things like implementation, hosting, adding new features, maintenance, support, and customizing the system. For most of us, this chore isn’t a one person task; you probably have a day job and unless you have a strong IT or development background, it will be incredibly difficult to get too far into the necessary modifications to your Open-Source LMS. Whether you look to do this yourself, finding the time in your already busy day, or hire a team, who fits your project’s budget, there is going to be a significant investment. Either route you choose, you will have an additional ball to juggle, making the current count 3. After downloading an open-source system the next step is to build it out and get it implemented within your business. Sounds easy enough, right? Wrong. First, you have to install your system, which isn’t as simple as clicking on the installer and pushing run, all you have is a zip folder with some files in it. Once you finally get everything installed and get into the system, you see that it is very… Empty. This new system will require hours of development and design to become a viable learning tool for your organization. Whether you choose the DIY route or hire a professional, this initial setup process can be a tedious, lengthy, and potentially expensive. An Open Source LMS will need to be hosted somewhere; Learning management systems are typically hosted one of two ways, on-premise or on the cloud. On-premise systems are great for security and stability and since everything is maintained in-house, there is no reliance on a third party for upkeep. However, these installations require a server infrastructure that can handle the organization’s user base and these installations can be costly, not to mention maintaining the software and hardware as it ages. Cloud based hosting gives an LMS the ability to be accessed anywhere, anytime. Flexibility like this is leading to an increasingly large number of systems being hosted on the cloud. While having a system on a third party cloud requires absolutely no investment in additional hardware or software, it is necessary to be trained (or hire a consultant who is trained) on the third party’s cloud infrastructure. Infrastructure training requires both a time and money and is necessary to keep the LMS up and running. On-premise or cloud hosted, neither hosting solution will be completely headache free. Add yet another tennis ball to your juggling act, bringing the total to 5. Have you ever used a brand new software or web-based tool and loved everything about it the first time? I can honestly say I haven’t, and a fresh built LMS is no exception. It’s bound to have a few usability issues that were overlooked in testing. System improvements and routine maintenance are the names of the game when it comes to keeping an LMS useable, effective and reliable. Depending on the size of the system, it can be a full-time job keeping up with the advancements in technology, maintaining the current features, and fixing system issues, which will require a dedicated team member who knows the ins and outs of the system code and foundation. 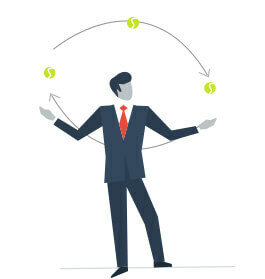 Juggling six tennis balls isn’t easy and the thing with juggling is, if you miss one ball, you drop them all. An Open Source LMS may be tantalizing at first with a free price tag but as you dig deeper, it becomes a circus act of juggling time, money, and additional resources. 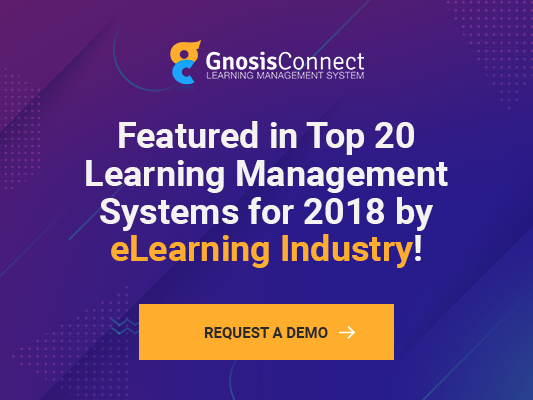 With a proprietary system like GnosisConnect LMS, we handle maintenance, hosting, and implementation for you. Delivering a state of the art, intuitive, cost effective, and reliable learning management system that fits your businesses needs to the T. Let us juggle all those other tennis balls for you, leaving you left with only two, your current job in one hand and GnosisConnect LMS in the other.